If you haven't heard about the group Keb Darge is raving about check out this clip of Osaka Monorail now! I just thought I would share this with everyone. It's the legendary godfather of soul teaching you how to dance. 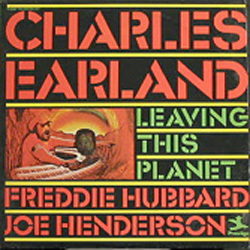 This is the title track from Charles Earland's Leaving This Planet and features such great jazz musicians as Joe Henderson and Freddie Hubbard. The track an interesting mix of jazz, funk, and psychedelica.